Yet another beautiful, calm, sunny day! One can only wonder and enjoy. The little island of Hermansenøya is lying in the middle of Forlandsund. 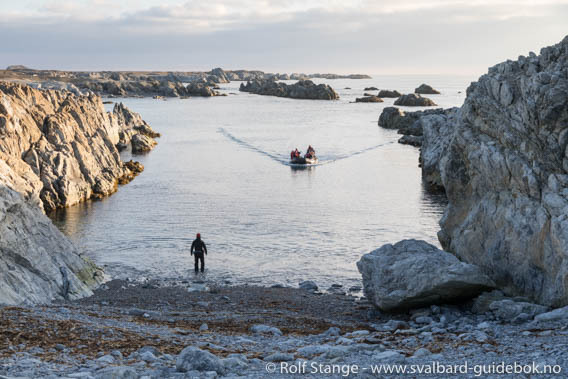 Wherever the eye wanders there is beauty, both far away, such as the mountains and glaciers of Spitsbergen and Prins Karls Forland, and closer, from the rugged coastal rocks to the little miracles that frost and ice create in the tundra. 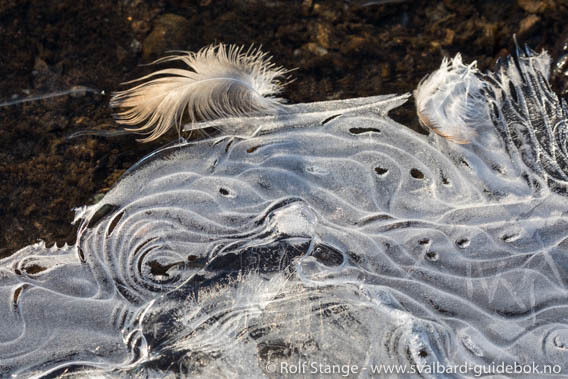 Icy scenic details on Hermansenøya (I). Icy scenic details on Hermansenøya (III). 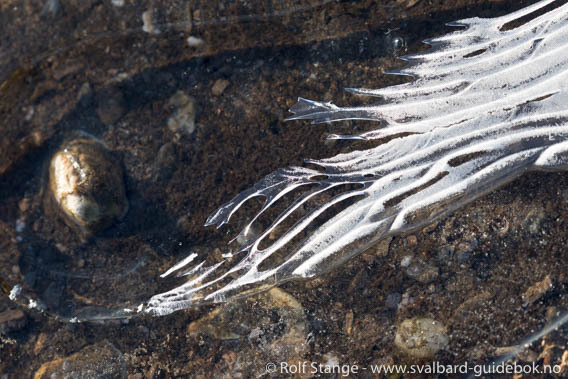 More icy scenic details on Hermansenøya: Flechten. 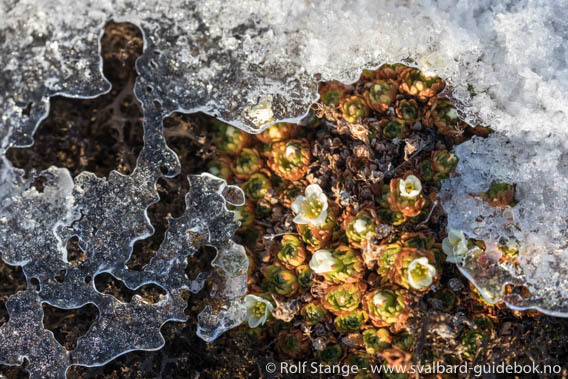 Even more scenic details on Hermansenøya: last flowers of the Tufted saxifrage in snow and ice. 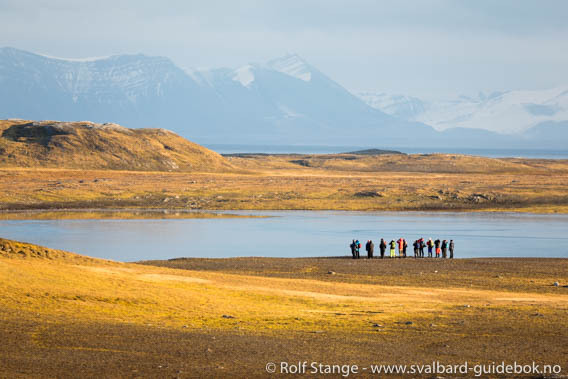 In the afternoon we continued southwards along the west coast of Spitsbergen. One of the most beautiful bits of landscape if you ask me! 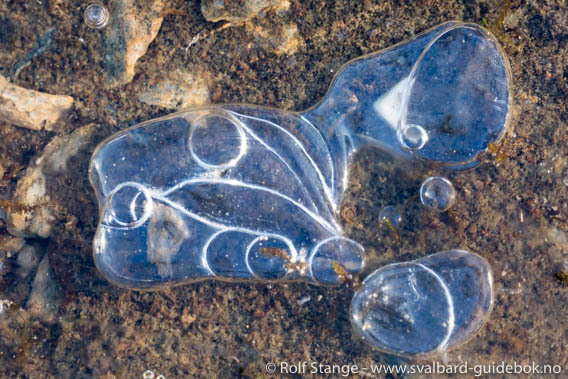 It’s not so much the postcard beauty, like icebergs and glaciers, that many associate with the Arctic, it’s more subtle. 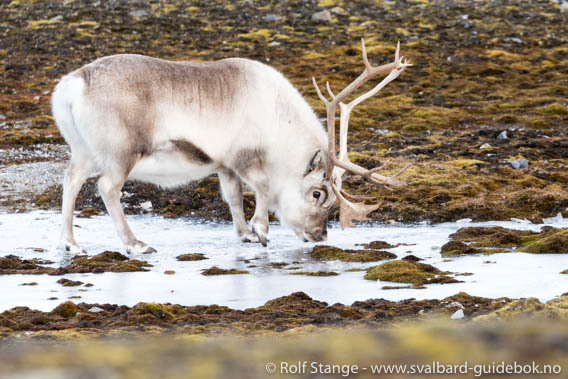 A wide plain with a very rocky, immensely beautiful coastline and very rich tundra with plenty of reindeer. What a beautiful part of the planet! And we are lucky to be able to spend some time here, this area is pretty exposed. 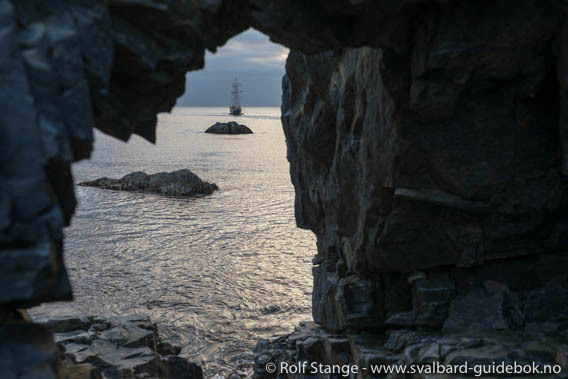 Hidden bay in southern Forlandsund. 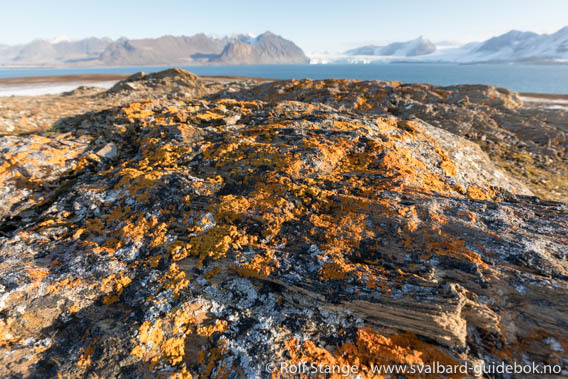 Wide tundra plain on Spitsbergen’s west coast (Daudmannsøyra). 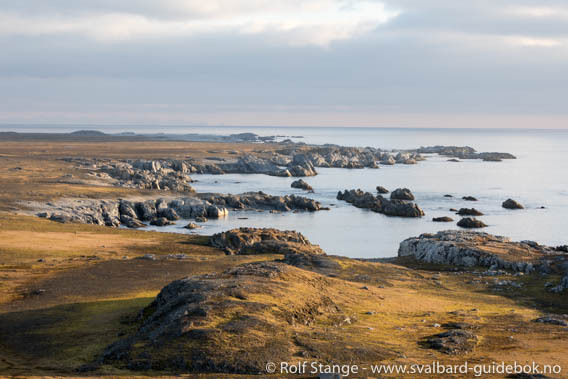 Coastal landscape in southern Forlandsund. SV Antigua near the rocky coast in Forlandsund. We went alongside in Barentsburg later in the evening. Rumours went later that it was a bit of a late night for some. 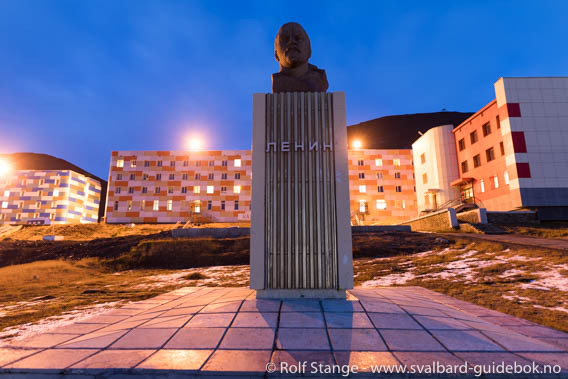 Lenin in evening light in Barentsburg. It is nice that dark nights are coming back now! 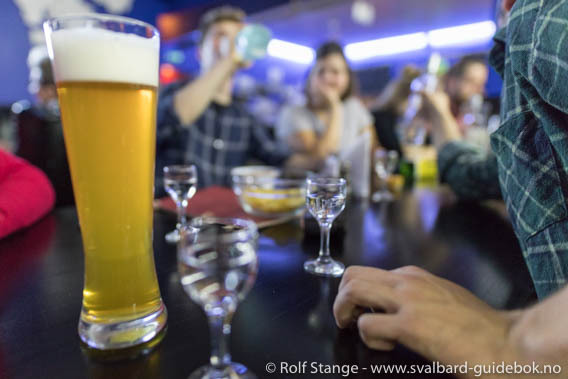 Spitsbergen’s coolest bar: the second-northernmost brewery in the world in Barentsburg.